Microexpressions occur when people are trying to conceal their emotions, most often in high stakes situations. When you see a microexpression, don’t automatically assume that the person who gave off the micro is lying. The first thing you need to do is establish a baseline: ask yourself what the person’s normal behavior is. If you indeed notice a hot spot (where their verbal actions contradicts their nonverbal actions), you need to stop and ask more questions. Don’t automatically assume that what they are saying is a lie. All of the above actions are great examples of nonverbal behavior which may be indicative that someone is lying, but are not microexpressions. 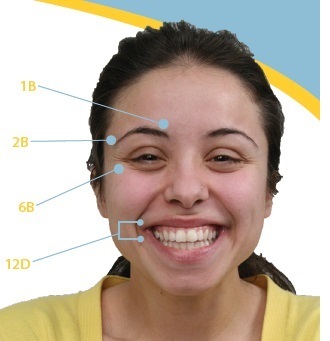 While microexpressions are one type of nonverbal behavior that occurs on the face, they do not involve how frequently a person blinks or how heavy their breathing is. Microexpressions commonly represent the seven basic emotions: happiness, fear, sadness, anger, contempt, disgust and surprise. They occur as fast as 1/25 of a second and are classified by the speed at which the expression occurs on a person’s face. These “truth wizards” that were discovered by Maureen O’Sullivan during her Wizards Project were a select group of people that were particularly good at detecting deception. You don’t have to be a wizard to see microexpressions. Anyone can learn to see microexpressions, especially if they get the proper training. Despite the show Lie to Me that aired on FOX, microexpressions were first discovered by Haggard and Isaacs over 40 years ago. They published a report on these expressions, which they called “micromomentary” expressions in 1966. The article they wrote was entitled Micro-momentary facial expressions as indicators of ego mechanisms in psychotherapy. Many subsequent studies have been conducted based on the research by Haggard and Isaacs, but the discovery of microexpressions should be attributed to them.